Historic mosaics have been returned to 96 Academy Street, Inverness, following restoration. The formal Flood Protection Scheme Notice for Drumnadrochit Flood Protection Scheme that has been published today (Friday 8 March 2019) is intended to reduce the risk of flooding and provide protection for 37 residential and commercial properties in the village. A planning application has been submitted to construct a new centralised waste management facility (Materials Recovery Facility) to recover recyclates and produce Refuse Derived Fuel. 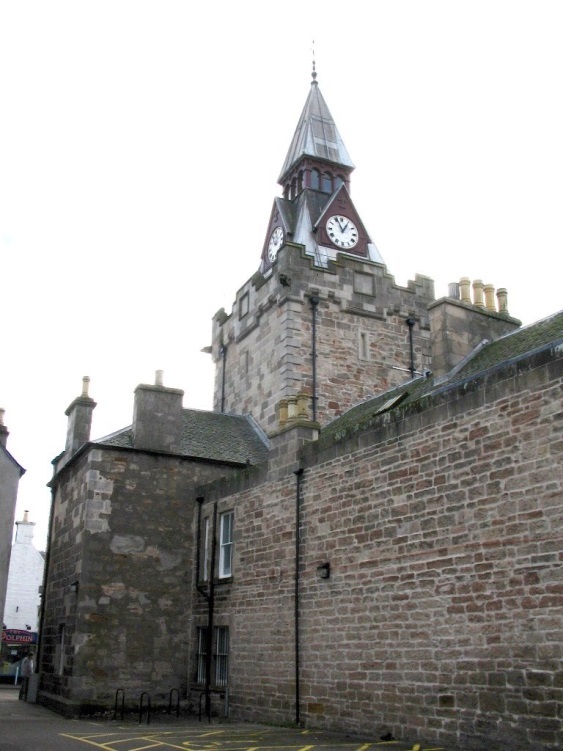 The contract for refurbishment works including the removal and replacement of the existing viewing tower at Nairn Courthouse has been awarded by The Highland Council to Laing Traditional Masonry Group (LTM Group). Members of The Highland Council’s Environment, Development and Infrastructure (EDI) Committee have approved an additional £2.185m for further remedial rock stabilisation works at the A890 Stromeferry. 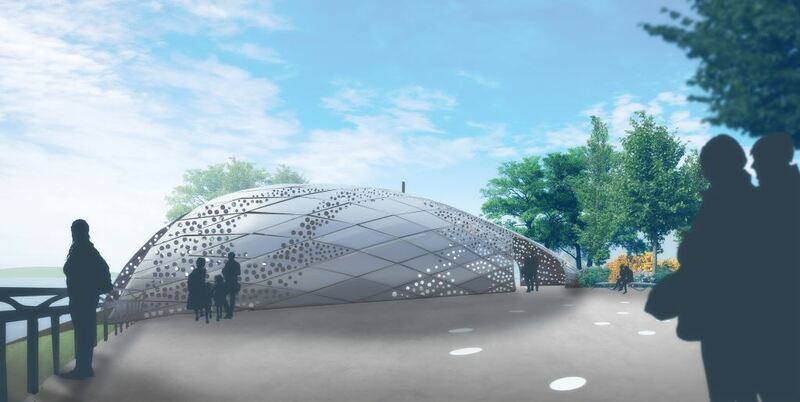 A planning application has been submitted for the new artwork, entitled ‘My Ness’ to be situated at the Little Isle Pool, Fisherman’s Car Park. 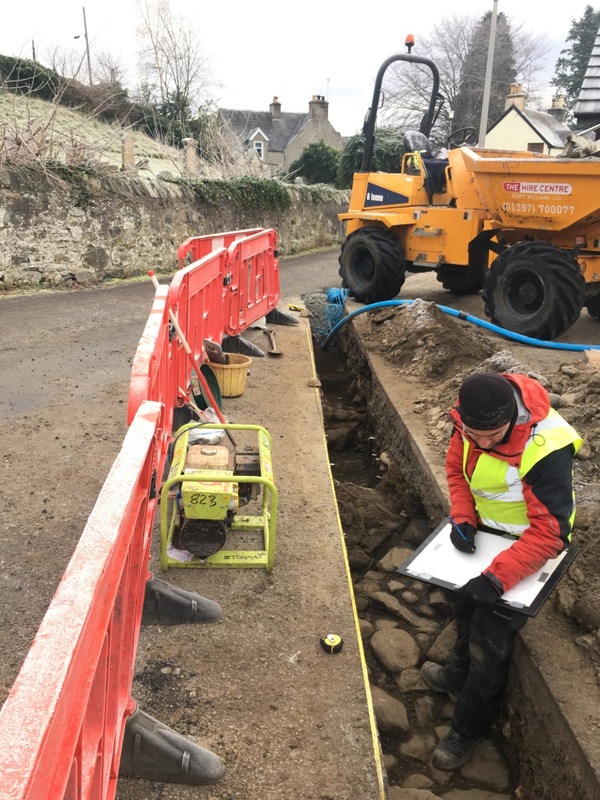 Significant archaeological finds in Kingussie are believed to be associated with a pre-16th century Carmelite friary. Another successful consultation event was held at the Nairn Community and Arts Centre where it was confirmed that the draft outline plan put forward at the first event was met with broad approval. 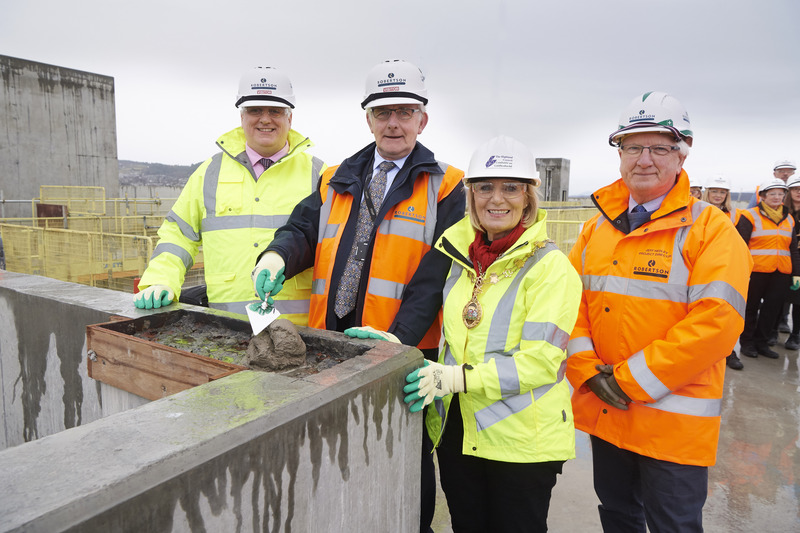 A topping out ceremony was held on the site of Scotland’s first purpose-built Justice Centre in Inverness on Thursday 29 November. The Highland Council has announced the publication of updated guidance on financial contributions required from new developments towards new infrastructure and services. Works to stabilise the lightning-strike-damaged Caisteal Maol at Kyleakin on the Isle of Skye have been completed, announces The Highland Council. e Highland Council has submitted a planning application for a low head hydroelectric development at the Torvean Weir on the River Ness. The Highland Council is pleased to announce that today (Friday 31 August 2018) it has adopted the Caithness and Sutherland Local Development Plan (CaSPlan). Following approval by the Isle of Skye and Raasay Area Committee on the 4th June 2018, the Council has now launched the draft Uig Development Brief for consultation which runs for 8 weeks from 30th July to 21st September 2018. The final phase of works to alleviate flood risk to the communities of Smithton and Culloden has begun. POSTPONED: Inverness footbridge to close for necessary repairs. POSTPONED: The Highland Council is informing pedestrians and cyclists that it is to close the suspension bridge from Bught Road to Whin Island from Monday 23 July for up to 6 weeks. New secondary school build honours first former Rector. 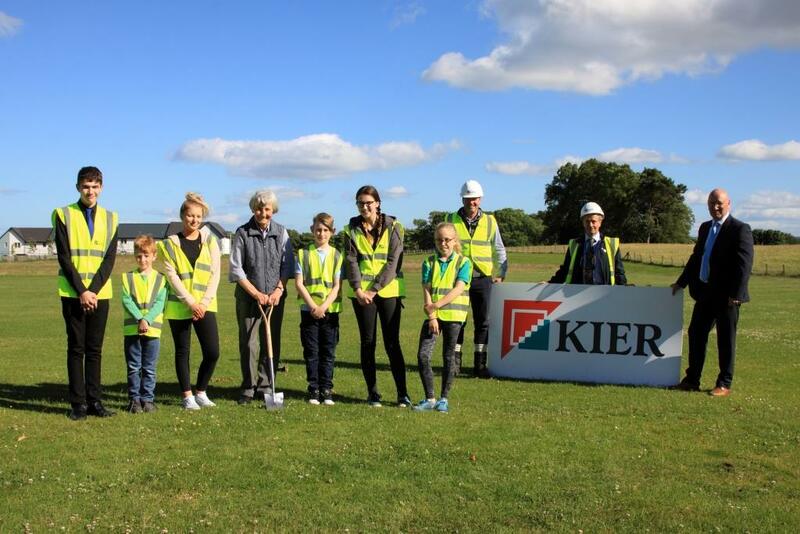 The first Rector of Alness Academy Robert Meikle, will be honoured this week at a turf cutting ceremony to mark works starting on a new state-of-the-art secondary school at Alness Academy. A new park is to be part of the plans for the West Link project, using the beautiful parkland setting of the current golf course adjacent to the canal. Members of The Highland Council’s Environment, Development and Infrastructure Committee have given their backing to new shop front guidance aimed at ensuring high quality designs for traditional, replacement and new shopfronts throughout the Highlands. The deadline for comments has been extended to 9am on Wednesday 16th May. The deadline for comments is 5pm on Monday 14th May and can be submitted by email to clestates@highland.gov.uk. The Highland Council has today (30th of April 2018) published the scheme documents for the planned flood protection scheme for Caol and Lochyside. The Highland Council invites you to have your say on a draft Wayfinding Strategy for Inverness city centre during a six week consultation beginning on 27 April 2018. Wayfinding is the term used for signs, maps and other devices that convey information about location and directions to visitors and residents so as to improve people’s understanding of the city. 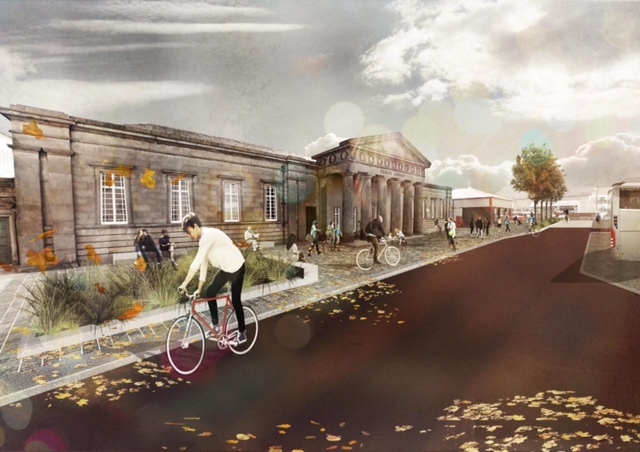 The Inverness Townscape Heritage Project has announced a grant award of £960,000 towards the costs of the full restoration of the former AI Welders Building. The Highland Council has committed to the phase 3 expansion of the industrial estate. A contract for the expansion was awarded to McGregor Construction in February 2018. ​​​​​​​Council to inspect street banners and calls on all property owners to inspect their premises. The Highland Council can confirm that it has arranged for inspections at two street banner locations on Church Street and Academy Street in Inverness. Highland Council is recommending as a precaution that all building owners with glazed canopy type arrangements check that they have adequate inspection and maintenance arrangements in place. 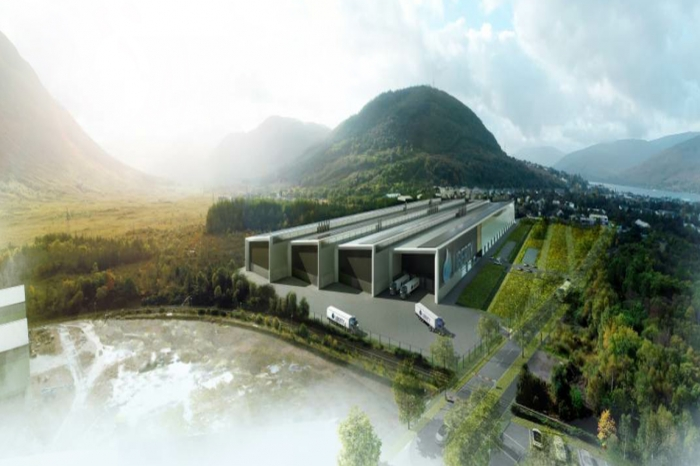 Highland Council’s South Planning Applications Committee has approved a major planning application for an alloy wheel manufacturing facility at Fort William in Lochaber. Highland Council’s South Planning Applications Committee has deferred a decision on a planning application by Kirkwood Homes Ltd for 16 new homes at Viewhill, Inverness. The Highland Council has launched two major planning documents for consultation. The Highland Housing Alliance has announced that Capital Developments Ltd., has submitted a planning application for a new residential and commercial development at 79 Academy Street, Inverness. Inverness planning ‘blueprints’ get go ahead from City Councillors. The Highland Council received two awards at last week’s Scottish Awards for Quality in Planning. Communities and developers will be invited to have their say in shaping a refreshed approach to dealing with developer contributions for developments across Highland. Members of The Highland Council’s North Planning Applications Committee have approved plans for a 40 bedroom care home to be built on the Black Isle. 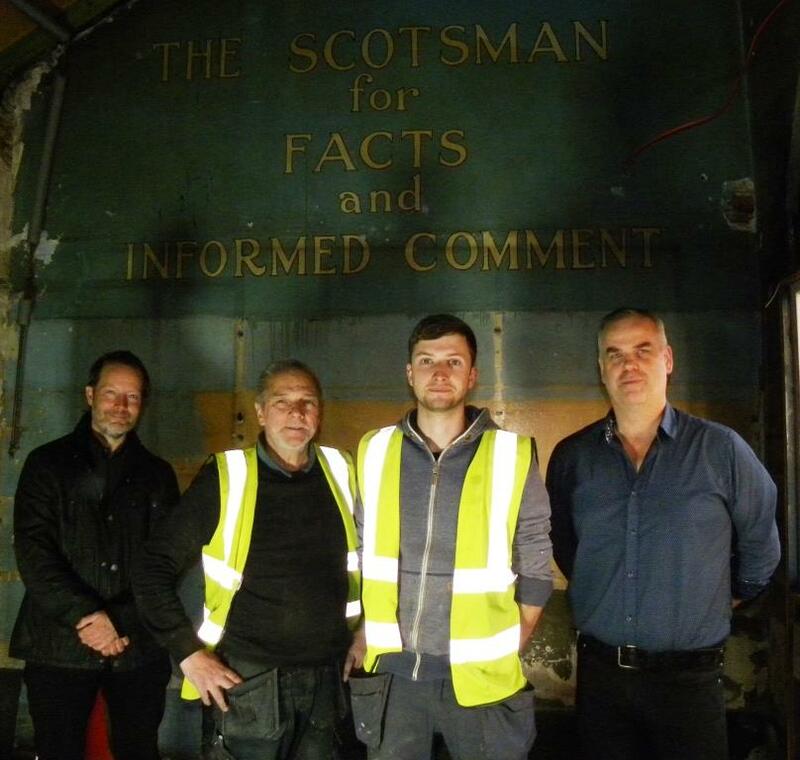 Two Inverness joiners have unearthed a piece of advertising history while refurbishing a shop unit in the Inverness Victorian Market. The Council has agreed to updated developer contributions for the delivery of new schools in the Inverness area. The Provost of Inverness was at Merkinch Welfare Hall earlier today (Tuesday 25 July) to welcome the Minister for Local Government and Housing Kevin Stewart to what is now the home of the Inverness City Boxing Club and Merkinch Partnership. Highland Council has announced that is allowing more time for people in the West Highland and Islands area to have their say on future development in their community. 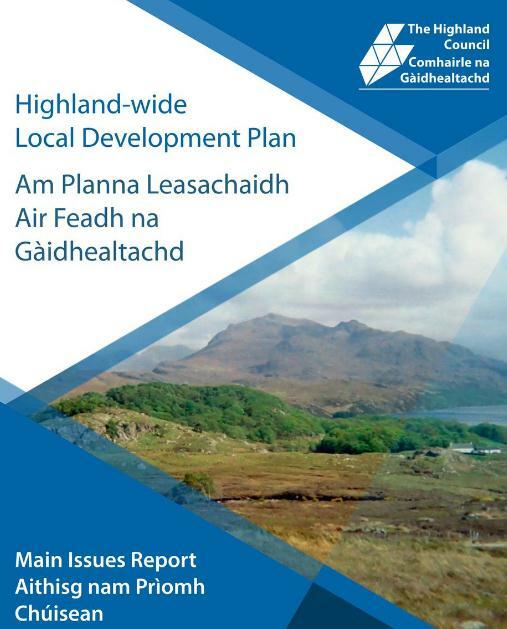 A new document identifying a 20 year plan for potential future development across Wester Ross, Lochalsh, Skye and Lochaber areas has been published for consultation by Highland Council. 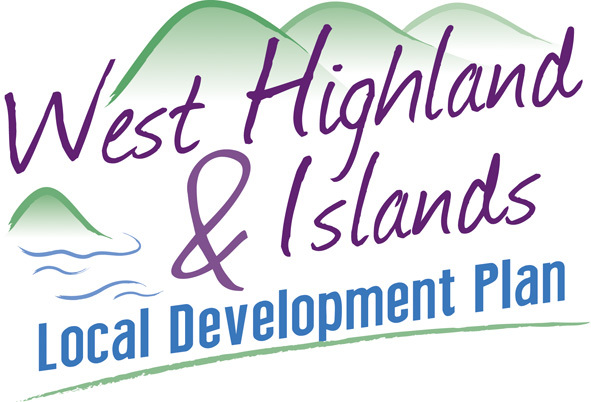 The Proposed West Highland and Islands Local Development Plan, also known as WestPlan, was published on 5 May 2017 for an 8 week consultation. People are being encouraged to have their say on the West Highland and Islands Proposed Local Development Plan, also known as WestPlan. A design engineer with The Highland Council has been shortlisted in Scottish Renewables’ Young Professionals Green Energy Awards. 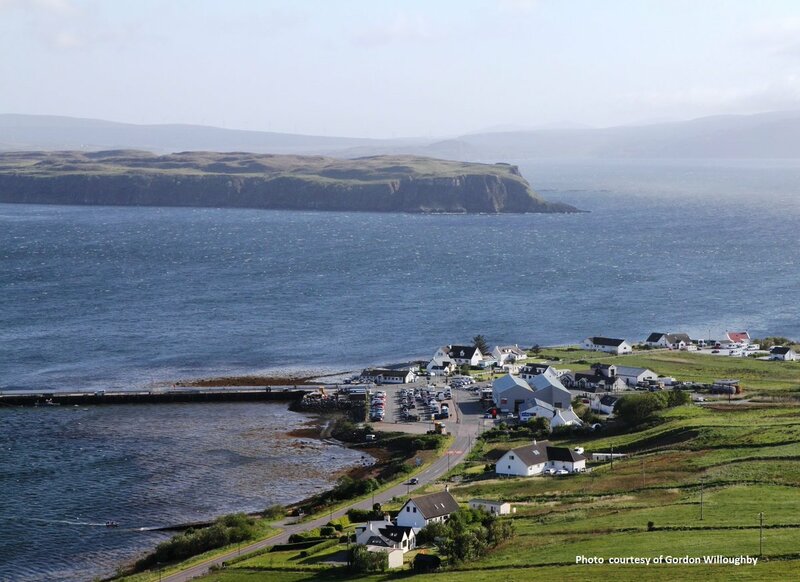 Representing the community of Staffin, located in the north east of Skye, the Staffin Community Trust has submitted an asset transfer request to the Highland Council. 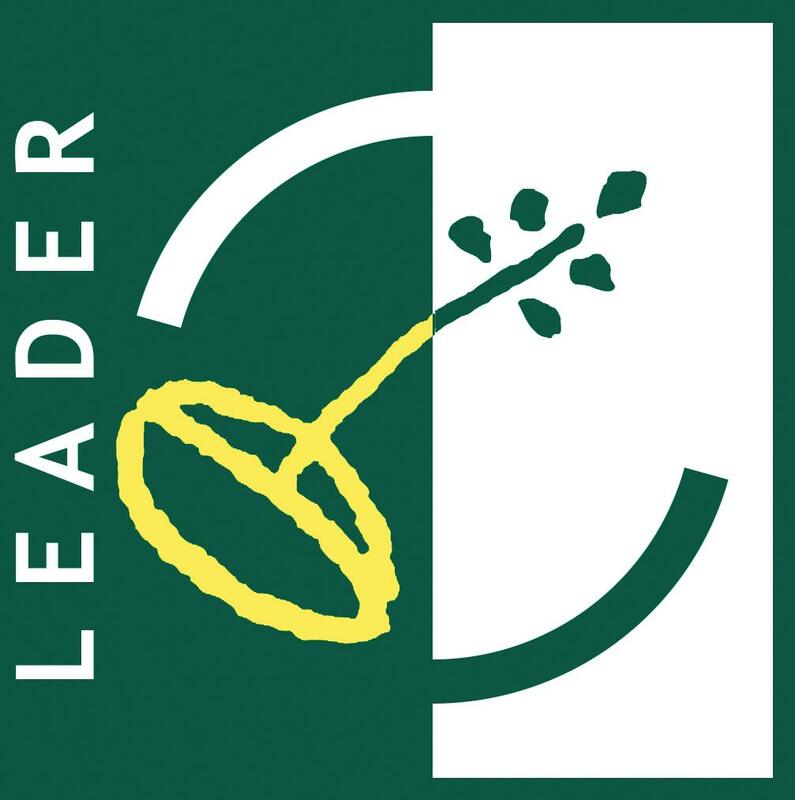 The request, made under Part 5 of the Community Empowerment Act (Scotland) 2015, relates to less than one hectare of the site for which the proposed purchase price is £1000. Thursday, 9th March 2017 will see the launch of a new Traditional Shopfront Improvement Grant Scheme, as part of the Townscape Heritage Project for Academy Street. The Caithness and Sutherland Local Development Plan (CaSPlan) remains on track for eventual adoption in final form in spring 2018. The preparation of a new West Highland and Islands Local Development Plan (WestPlan) took a step forward today at a meeting of Ross & Cromarty Area Committee.. The deadline for commenting on The Highland Council’s draft Landscape Appraisals to help in the consideration of future proposals for wind energy development is drawing near – but has been extended to 31 January 2017. The public are reminded that The Highland Council’s consultation continues on draft Landscape Appraisals to help in the consideration of future proposals for wind energy development. The initial findings of a review into the delivery of educational capital projects have identified a number of recent improvements and recommendations are being developed for future arrangements. 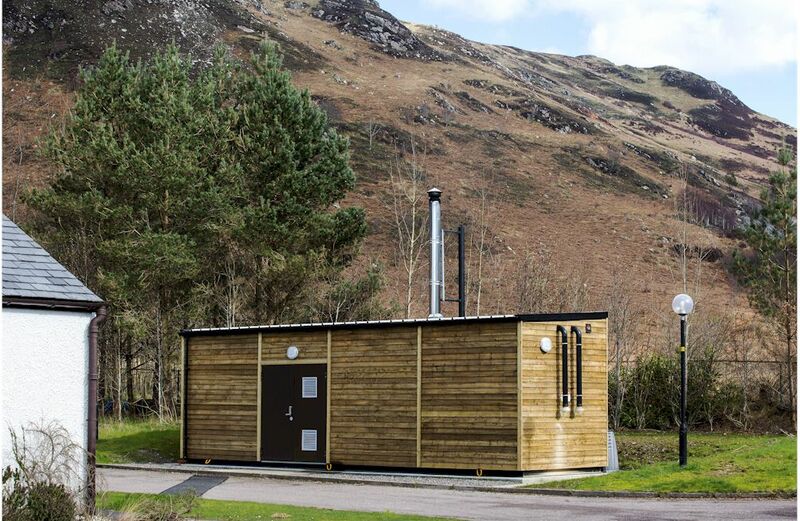 Last month The Highland Council launched an architectural competition for the development of three visitor information shelters at key entry points to Wester Ross; Achnasheen, Lochcarron and Braemore. The competition attracted the attention of architects from across the world and there were 66 concept design submissions received last week. The A82 has re-opened at Tomnahurich Bridge, Inverness. Motorists are being advised by The Highland Council that overnight works on a new roundabout at Tomnahurich Bridge for the Inverness West Link project have been delayed. Details have now been announced for The Highland Council’s workshop to find out views from the public on how development in the east of Inverness should happen. A new consultation has been launched about how development in the east of Inverness should happen. Public consultation is now underway on newly suggested development ideas in the West Highland and Islands area. Nairn South Masterplan will be considered at a future meeting of the Nairnshire Area Committee to allow further time to fully consider comments received. 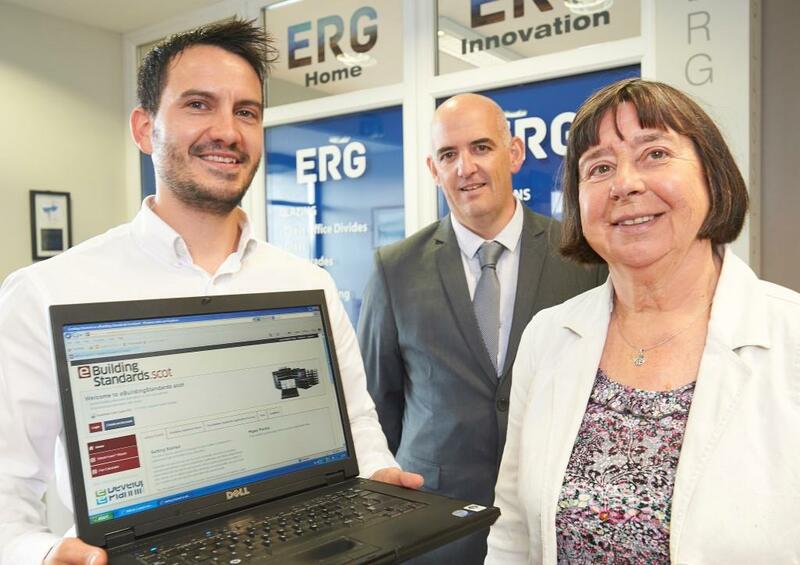 A business with bases in Invergordon and Inverness was the first customer of Highland Council’s new eBuilding Standards portal which went live on 24 August. The Highland Council has informed staff, parents and pupils of ongoing issues with the new Inverness Royal Academy building and the actions being taken to address them. The Caithness and Sutherland Local Development Plan (CaSPlan) which sets out The Highland Council’s vision and development strategy for the area over the next 20 years is to be modified and put out for public consultation. Local Highland councillors for Badenoch and Strathspey were this week (Monday 22 August 2016) given a preview tour of the newly renovated and extended Kingussie Courthouse building by contractors, construction and infrastructure company, Morgan Sindall. People submitting building standards applications to The Highland Council will benefit from a major new improvement to the Council’s digital services that will be on offer from Wednesday 24 August. 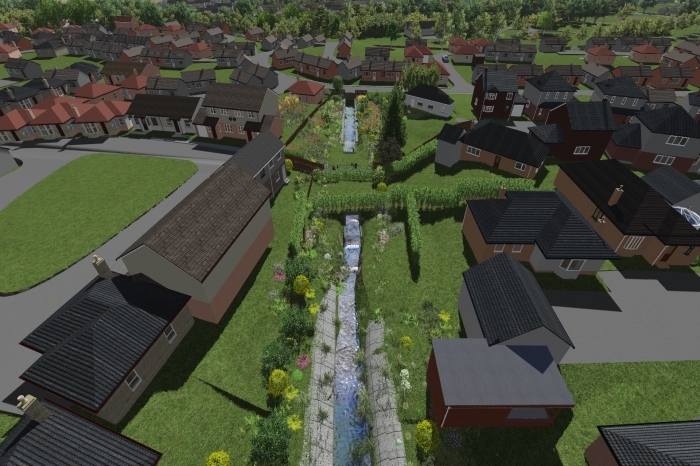 In order to complete the final phase of this flood alleviation project, The Highland Council is promoting a formal Flood Protection Scheme (FPS). A formal consultation process has begun and is running from 26th April to 24th May 2016. A major public consultation has now started to help prepare a new 20 year Local Development Plan for the West Highland area, to be known as WestPlan. For the first time the Highland Community Planning Partnership have endorsed a Development Plan published by The Highland Council. 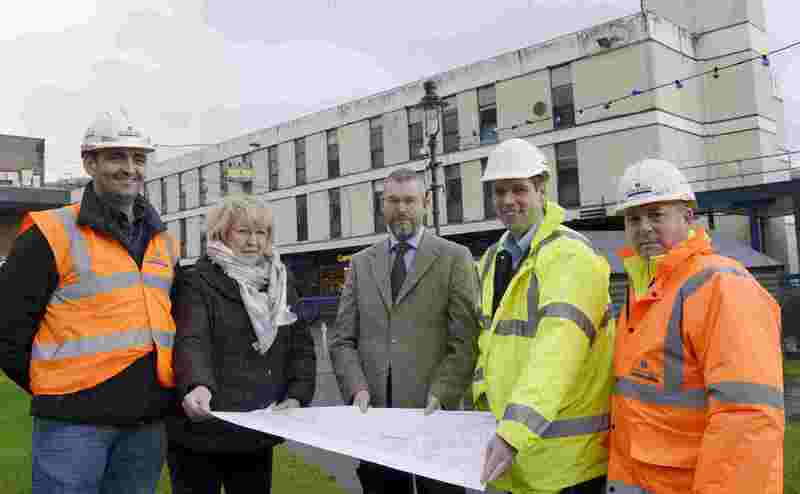 The Highland Council has begun work on the £2.9 million development of Tweeddale in the Town Centre. A new document identifying potential future developments across Caithness and Sutherland has been published for consultation by Highland Council. The Highland Council has launched a proposed template for growth in the Caithness and Sutherland areas over the next 20 years and beyond. 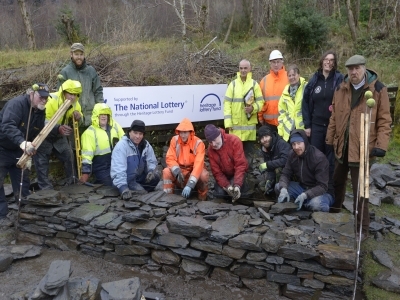 A recent two-day course in slate building techniques at Ballachulish has been hailed as a success despite the best attempts of the weather to spoil things. Highland Council has approved an additional £24.520 million for roads, bridges and piers to be included in the Capital Plan, together with an additional provision of £1.6 million for minor flood works. 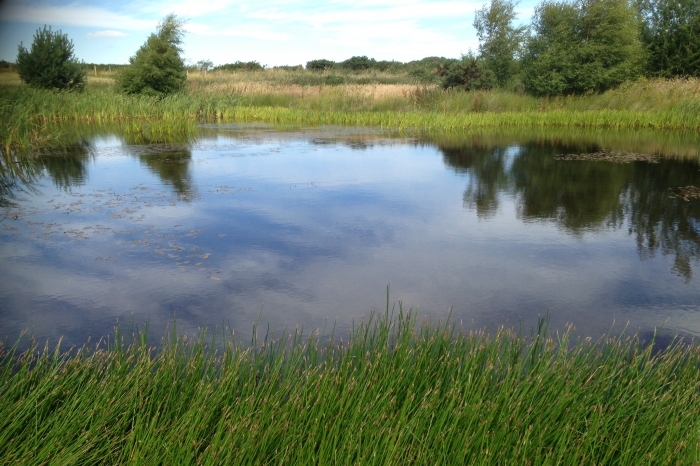 A recent study by Scottish Natural Heritage and The Highland Council has found that the ponds in the A96 corridor between Inverness and Nairn are very healthy and supporting a wide variety of wildlife. 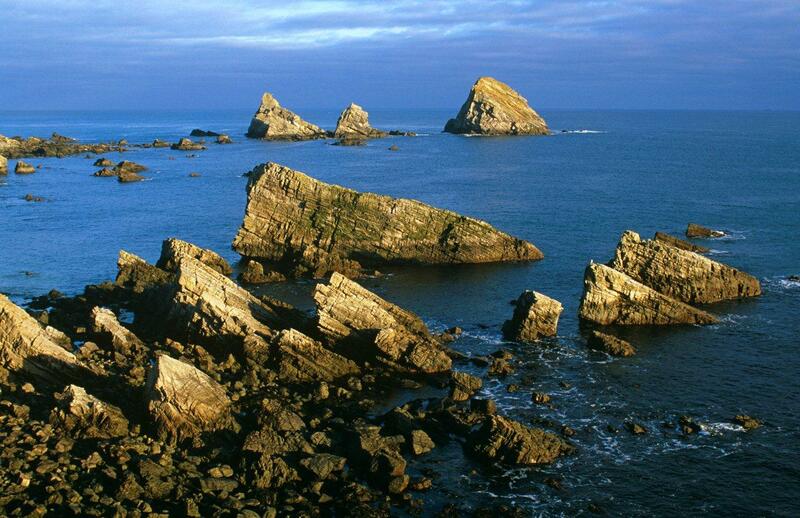 A major consultation on the future management of one of Scotland’s most iconic locations is now underway. People interested in learning about slate building techniques are being invited to attend a free two-day course in Ballachulish at the beginning of December. The Highland Council has been awarded commendations in three different categories at this year’s Scottish Awards for Quality in Planning, which were held last week in Edinburgh. 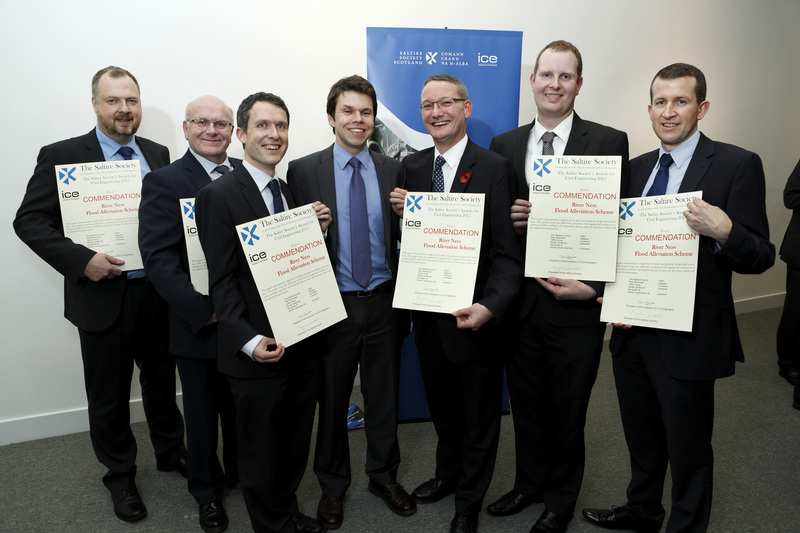 The River Ness Flood Alleviation Scheme has received a commendation at a national engineering award ceremony. A Development Brief for the Muirtown and South Kessock area of Inverness was formally adopted today (Wed 4 Nov) by The Highland Council’s Planning, Development and Infrastructure Committee. At today’s (Wednesday 4 November) Planning, Development and Infrastructure Committee, members gave their support to a project aimed at improving the visitor experience at the popular location of the Old Man of Storr site on the Isle of Skye which attracts people from all over the world. The Highland Council today (Wednesday 4 November) took a major step in agreeing a future vision and strategy for development of the Caithness and Sutherland area over the next 20 years with councillors’ approval of the Caithness and Sutherland Proposed Local Development Plan (CaSPlan). The Highland Council’s Planning, Development & Infrastructure Committee has today (Wed 4 Nov) approved nearly £8 million of capital investment in Town and Countryside regeneration projects throughout Highland over the next nine years. 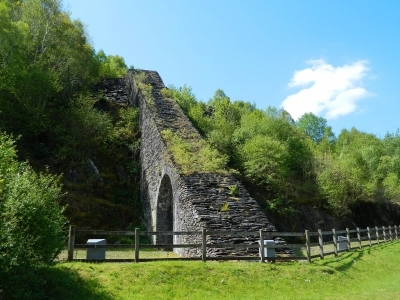 As part of an exciting project to conserve and interpret Ballachulish’s historic slate arch, structural conservation works will shortly be commencing on site. Work on the first stage of the Kinnairdie Link Road Scheme in Dingwall will begin on Monday when contractor, Pat Munro (Alness) Ltd will be on site to carry out improvements to the junction of the A862 Newton Road and the A834 Burn Place near to the Council Offices. Works start on Monday (19 October) on Phase 4 Ground Investigation for the Flood Protection Scheme in Smithton and Culloden, Inverness. 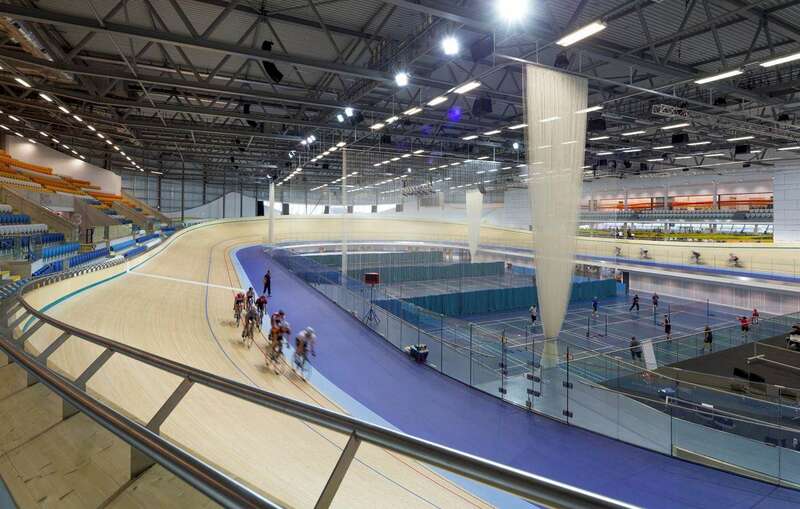 Highland Council has agreed funding of up to £150,000 to develop detailed designs and costings for a Regional Sports Facility. Projects worth £3million have been approved by the UK Government as an initial allocation of City-Region Deal funding. The first formal stage in reviewing the Highland-wide Local Development Plan (HwLDP) was approved yesterday by members of the Planning, Development and Infrastructure Committee providing the go-ahead for a Main Issues Report to go out for public consultation. The Highland Doors Open Days programme for 2015 has been launched, with a total of 47 North buildings – new and old – opening their doors in September this year to allow the public to see inside them and find out about their stories. 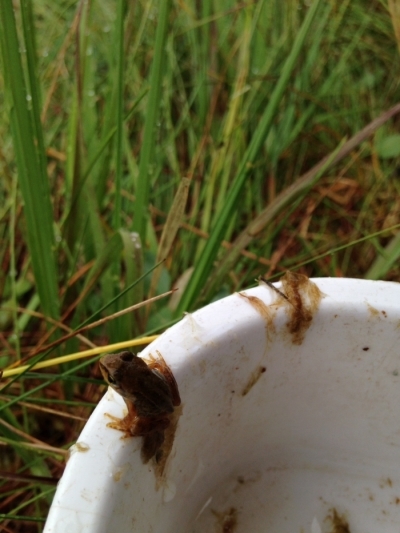 Highland Council graduate research assistant Marcia Rae has been investigating the presence of amphibians in Inverness Sustainable Urban Drainage (SuDS) ponds and now that the survey period (March- July) is over the initial results are looking good. The Highland Council has received confirmation today, that the first of two statutory processes for the West Link Road are now complete. Highland Council Leader Margaret Davidson reported back following a useful meeting yesterday with Local MSP Fergus Ewing, Youngs Seafood and other stakeholders. A consultation is being launched on a plan that will be used to guide development activity in the Pentland Firth and Orkney Waters. 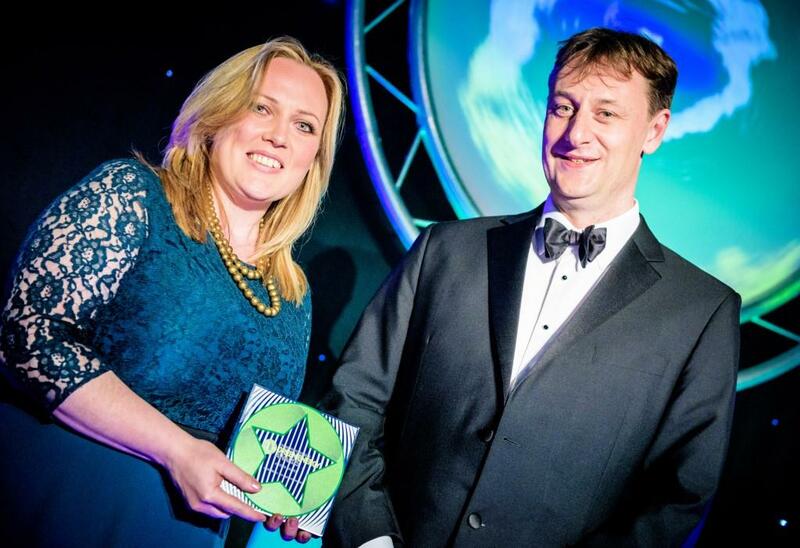 Inverness-based Highland Council Engineer, Jackie Sayer has won the Judges Award at the prestigious Scottish Renewables Young Professionals Award ceremony. Following the latest round of consultation on the Main Issues Report for the Caithness and Sutherland Local Development Plan, yesterday (Tuesday 26 May) members of the Area Committee were presented with a summary of matters raised by members of the public and gave their feedback on a number of issues. In partnership with Orkney Islands Council and Marine Scotland, The Highland Council has been working on the preparation of a marine spatial plan that will support the economic development in the Pentland Firth. Members of the public will soon have the opportunity to give their feedback on the draft plan. 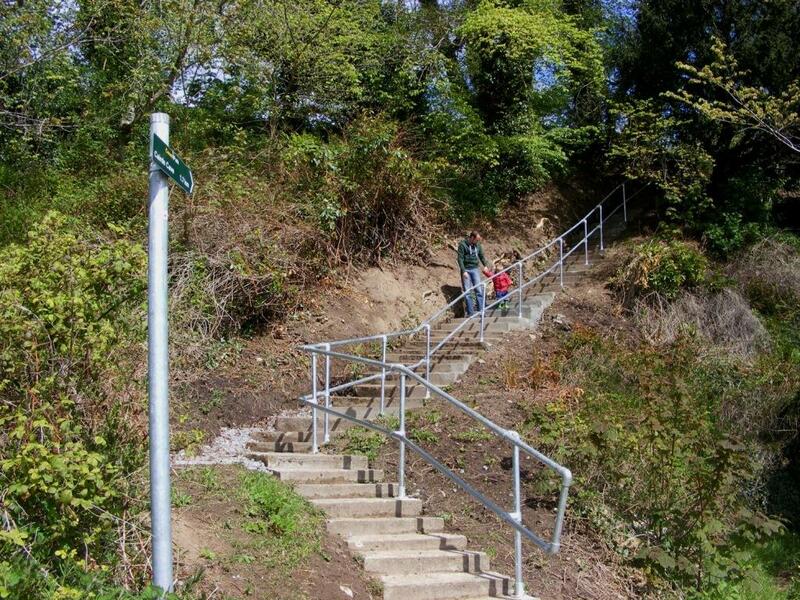 Steps from Rosemarkie beach to the old ‘High’ path – a popular walks that leads to Caird’s Cave have been restored by The Highland Council’s Access Team. Would you like to open your doors this year? People with interesting buildings in The Highland Council area which are not normally open to the public are being invited to open them up for a day as part of the popular Highland Doors Open Days programme which will take place on weekends in September this year. The deadline for members of the public to share their views on The Highland Council’s new Onshore Wind Energy Supplementary Guidance Consultation Paper is Friday 22 May. The Highland Council is to submit a detailed planning application tomorrow (Tuesday 14 April) for the Canal Parks Enhancement Project, as part of plans for enhanced sports facilities in the city, made possible with the building of the Inverness West Link. The Highland Housing Alliance (HHA) has completed the first 12 homes of a 48 house National Housing Trust (NHT) development in Westercraigs near Inverness. The Highland Council is holding a public meeting on Thursday 2 April to discuss the on-going project of improvements to the B851 road at Sockich Bends. 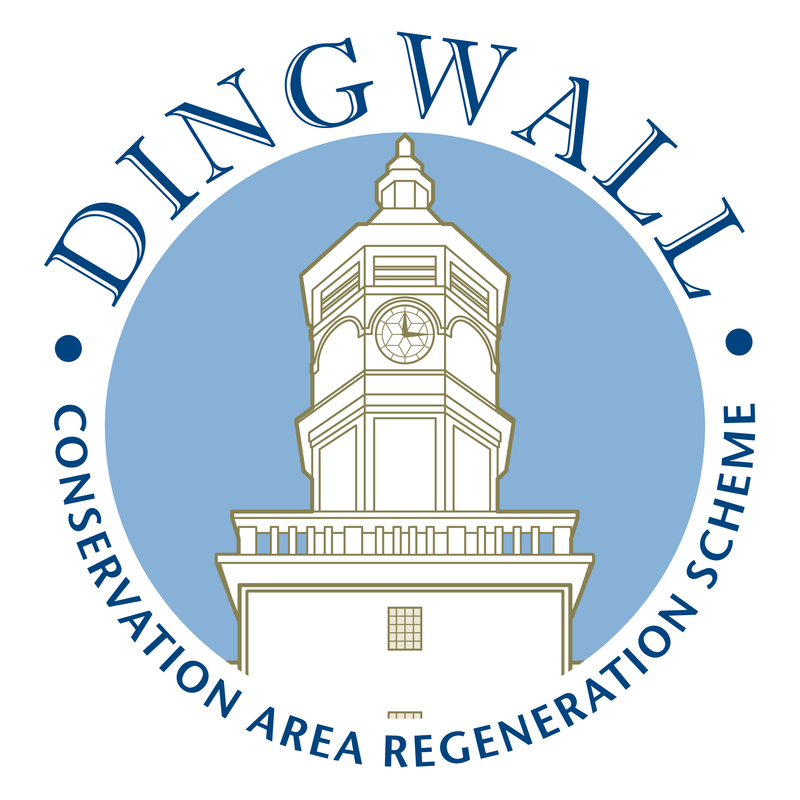 The Highland Council have launched two public consultations inviting the public to comment on key conservation area designation and policy within the Inverness area. There was a good turn out to the recent public exhibition outlining the Phase 4 proposals for flood protection measures in Smithton and Culloden and the Council is reminding members of the public that there is still time for them to pass on their comments. The Highland Council understands that all four objectors to the Compulsory Purchase Order (CPO) for the West Link project have now informed the Directorate of Planning and Environmental Appeals (DPEA) that they have withdrawn, which is a significant milestone towards confirmation of the CPO. The Highland Council have joined with Highlands and Islands Enterprise, HITRANS, and the University of the Highlands and Islands to welcome the support announced today during the budget by making funding available to the Highlands for 2015-16 to deliver a City Deal for Inverness and the wider region. Members of the public are being invited to take part in a consultation on the Council’s Onshore Wind Energy Supplementary Guidance which, when approved, will be used in the consideration of planning applications for wind energy developments in the Highlands. The Highland Council is consulting on draft Town Centre Action Plans for the towns of Tain, Nairn and Fort William following consultation events held during April and May 2014. The Caithness and Sutherland Local Development Plan Main Issues Report (CaSPlan MIR) was published in October 2014 as a discussion document that set out initial ideas for what the plan needs to achieve for people and places in the area and the Council’s initial preferences for where new development might be located. The Highland Council is launching a consultation on the proposed measures for Phase 4 of the Smithton and Culloden Flood Alleviation Scheme, giving stakeholders, community groups and the public the chance to get involved in the design process and put forward suggestions. Following a series of public events last year The Highland Council has published details of a new shared vision for the future of the Muirtown and South Kessock areas of Inverness. 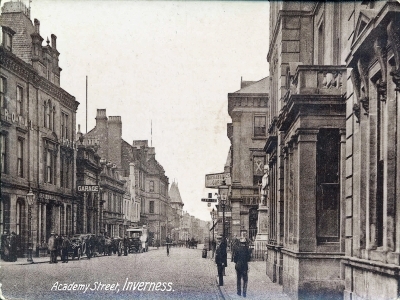 Photos, drawings and plans from the Highland Archive Centre and Inverness Museum and Art Gallery showing Academy Street in years gone by will be used to highlight the importance the heritage of this part of the city has had and, it is hoped, inspire new creative ideas for regeneration. The Highland Council has created a new way of keeping people up-to-date on the preparation of Development Plans in Highland and giving information of how and when people can get involved. People living in Ballachulish and the surrounding area are being invited to become involved in an exciting new local history project to gather the stories of the Ballachulish slate quarries. Late yesterday afternoon (Thursday 19 February 2015) notification was received by The Highland Council that the owners of the property 36 - 40 Eastgate Inverness had appointed a contractor to make safe the property in line with the requirements of the dangerous building notice served on them. 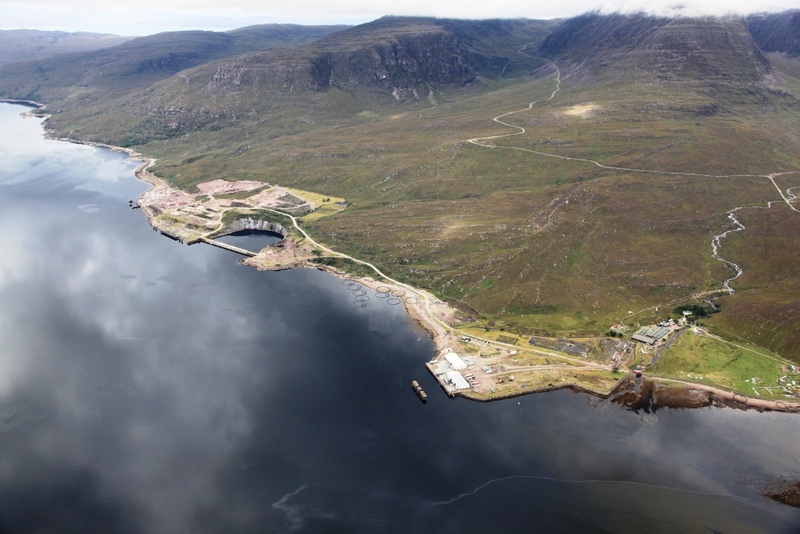 The importance of supporting environmentally, economically and socially sustainable aquaculture development in the Highlands was under the spotlight at yesterday’s Planning, Development and Infrastructure Committee. The Highland Council has launched a new interactive map on its website showing the location of windfarms and wind turbines in the Highlands. 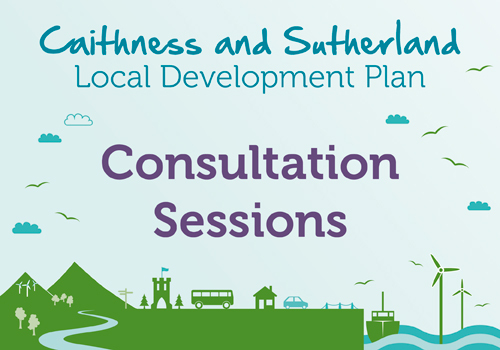 The consultation on the Caithness and Sutherland Local Development Plan Main Issues Report (CaSPlan MIR) drew to a close on Friday 6 February 2015 after 14 weeks which saw members of the public take part in a series of drop in sessions and evening workshops held around the plan area. A call for people’s suggestions of land use sites and ideas for inclusion within the forthcoming West Highland and Islands Local Development Plan is underway. 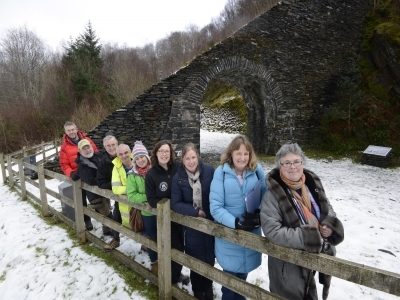 An exciting project to conserve and interpret Ballachulish’s historic slate arch has been launched this week, thanks to funding from the Heritage Lottery Fund, The Highland Council and Historic Scotland. This is an exciting new graduate opportunity funded by The Highland Council and Scottish Natural Heritage for 2015. The planning event to be held in Brora – which was postponed on 12 January due to the impact of poor weather conditions – has been re-arranged. The Highland Council has postponed site visits by the South Planning Applications Committee to view the Millennium Wind Farm at at Glenmoriston, and Beinn Mhor Wind Farm at Tomich. In light of the on-going poor weather conditions and the impact this has had on local communities and travel routes, The Highland Council has decided to cancel the public consultation event that was to be held in Brora Community Centre this evening. Communities are being reminded that the consultation on the Caithness and Sutherland Local Development Plan (CaSPlan) Main Issues Report continues, with any comments needing to be received by The Highland Council no later than 12 noon on Thursday 29 January 2015. Highland Council has today submitted a planning application to open up the look-out tower at Inverness Castle as a tourist attraction. Good collaborative workings, a commitment to customer service and above average decision-making timescales were just some of the positive actions flagged up during an annual review of The Highland Council’s Planning Service. Today (Monday 15 December) marks the introduction of revised planning permitted development rights for agricultural and forestry tracks. As the first step in producing a new Local Development Plan for Caithness and Sutherland, The Highland Council has published a Main Issues Report which outlines options for the future of the area over the next 20 years. At this crucial early stage, community groups, businesses, public agencies and members of the public are being encouraged to have their say. The Highland Council has submitted a planning application for enhancements to the Highland Rugby Club, as part of its detailed project plans for sports facilities associated with the West Link. Public consultation events are continuing, where people living and working in Caithness and Sutherland are being encouraged to help influence a new Local Development Plan for the area, known as CaSPlan. 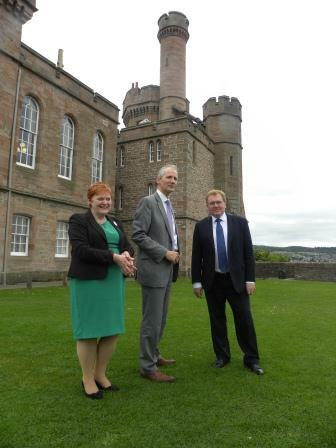 The Highland Council is leading a feasibility study looking at opening up the look-out tower at Inverness Castle as a tourist attraction. A major public consultation has now started to help prepare a new 20 year Local Development Plan for the Caithness and Sutherland area, to be known as CaSPlan. Highland Council meets with Caol community to discuss new Gaelic school. The Highland Council Chief Executive, Convener and planning and education colleagues met with Caol Community Council, neighbouring residents and local elected members on Tuesday evening 20 August 2014 to listen to concerns about the building of the games hall at the new Gaelic School. Today (Tuesday 19 August 2014) members of The Highland Council’s South Planning Applications Committee have refused to grant planning permission to RWE Innogy UK Limited for a 20 turbine wind farm at Glen Kyllachy near Tomatin. There are just a few months to go until fourteen new cottage flats start to be handed over to their new tenants and owners. The Highland Council along with the Friends of the Old Fort are inviting willing volunteers to band together to make a difference to their town. New Chair Alasdair Lawton chairs meeting to discuss East Ross Health Profile. Council assured by Transport Scotland talks on A96 Nairn traffic. 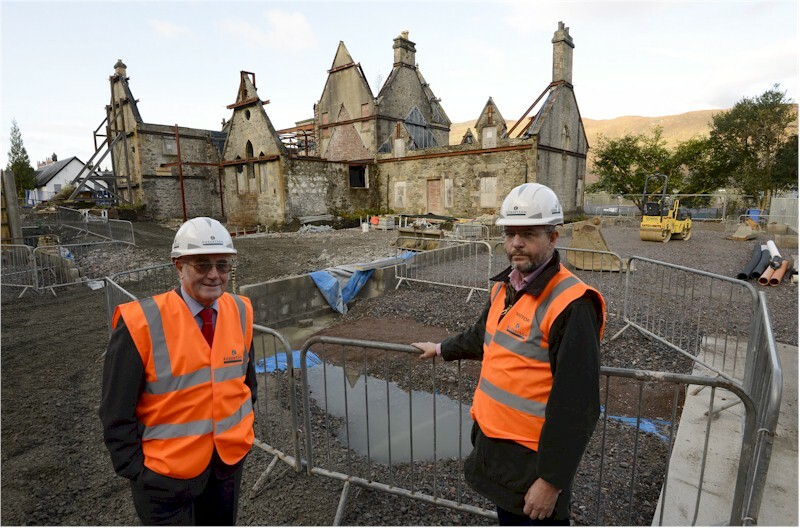 Turf cutting ceremonies to mark start on two new schools at Fort William. To mark the start of construction - Lochaber Highland Councillors and Members of the Council’s Gaelic Implementation Group will be joined by Council officials, and key representatives. The views of local communities will be sought over coming weeks by The Highland Council on proposals for a new school campus in Tain to replace the existing Tain Royal Academy, Craighill and Knockbreck Primaries and St Duthus Special School. The new Inner Moray Firth Local Development Plan took a major step forward yesterday (Wednesday 14 May) when members of the Planning, Development and Infrastructure Committee confirmed the Council’s position on issues raised during consultation. The Highland Council is encouraging residents and businesses in Tain to influence the future of their town centre at a public event taking place in the town next week. Plans for a new Inverness Royal Academy secondary school were given the go ahead today (Tuesday 8 April 2014) by The Highland Council’s South Planning Applications Committee. The Highland Council are encouraging people to attend a public exhibition to help prepare a new Action Plan for Inverness city centre. The Highland Council has awarded a £9.3 million contract to McLaughlin and Harvey Ltd, the company that recently built the new ferry terminal extension at Sconser, Skye. 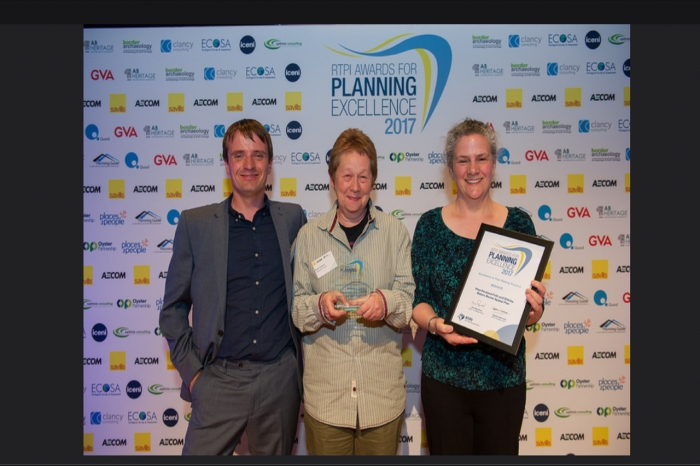 A team from The Highland Council’s Planning and Development service has come out tops after winning the Strong and Sustainable Communities category in the 2014 COSLA Excellence Awards. Phase 1 of the major new ‘Kilbeg Village Development’, being led by Sabhal Mòr Ostaig, the National Centre for Gaelic Language and Culture, commenced this week in Sleat. 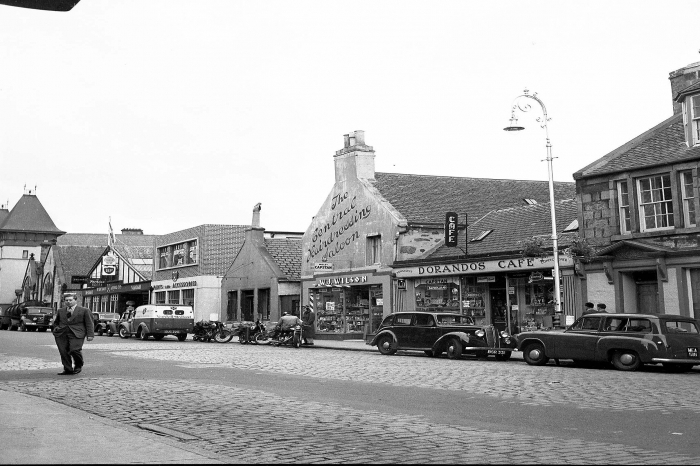 The Highland Council is delighted to announce that the Heritage Lottery Fund (HLF) has earmarked £1.67m under its Townscape Heritage (TH) programme* to assist in the regeneration of Inverness.